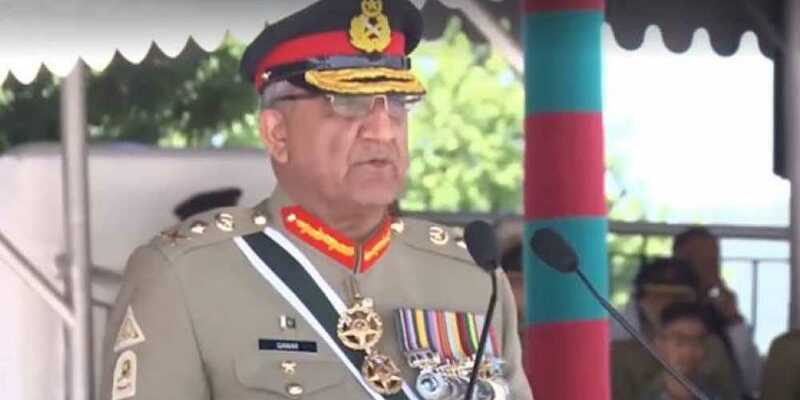 Chief of Army Staff General Qamar Javed Bajwa has said that peace in the country has been achieved at a high cost, adding that Pakistan’s peace offer to India should not be misconstrued as a weakness. Addressing the Passing out Parade of 110 Midshipmen and 19th Short Service Course held at Naval Academy in Karachi on Saturday, the army Chief said that the armed forces and the law enforcement agencies have rendered tremendous sacrifices to restore peace and order in the country. He said it is our duty to honor their sacrifice through display of unity, faith and discipline in everything that we do. He said Pakistan is a peace-loving country and believes in peace within and peace without. The army chief said Pakistan is trying very hard to help bring a lasting peace in Afghanistan by supporting Afghan-led and Afghan-owned peace plan.